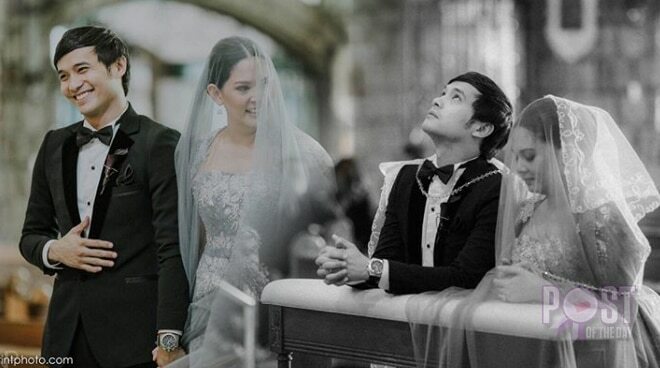 Callalily vocalist Kean Cipriano happily shared a clip of his church wedding with his wife Chynna Ortaleza on Instagram. Their background song was an original one he wrote during their civil wedding in 2015. He then arranged it with South Border’s Jay Durias. “’Nandito ka na’ A song I wrote for @chynsortaleza after our civil wedding 2 years ago. Salamat @jaydurias for helping me out in arranging this very special track! Ang tagal kong tinago tong song na to. Sulit na sulit ang paghihintay,” he wrote.